Extra university places should be funded as a way out of recession and unemployment, says the Organisation for Economic Co-operation and Development. An annual international report comparing education systems says economies and individuals continue to benefit from higher qualifications. "The benefits clearly outweigh the costs in every country," says report author Andreas Schleicher. This year thousands of applicants in the UK missed out on university places. "Countries which want to position themselves for after the economic crisis should create sufficient places in university," said Mr Schleicher. "It makes sense to create more places. It means more tax, better health, better participation in society," he said. Despite the expense of university and fewer jobs, the report says there is consistent evidence that higher education is still cost effective. "For a young person today, the best way of investing their money remains in education," said Mr Schleicher. A tougher jobs market this year prompted a surge in applications to university in the UK - and pressures on public spending limited the expansion of student numbers, leaving an estimated 40,000 well-qualified applicants without places. But for those who miss out on university, or who leave school with poor qualifications, the OECD report suggests the penalties are growing more stark. As higher-paid jobs are taken by the growing number of graduates, those without qualifications are being left further behind, with deteriorating job opportunities. 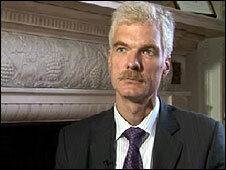 "They are paying a higher price than in the past, as the relative competition for jobs is growing," says Mr Schleicher. 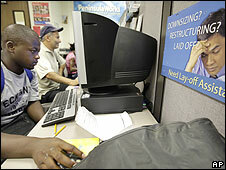 "We can expect that to continue - poor employment and worse health." Across industrialised countries, more than four out of 10 adults with low qualifications - such as those with less than five good GCSEs - are unemployed, with most of these counted as long-term unemployed. In the UK, there is a particularly high level of young people not in education, employment or training - so-called Neets. According to the OECD figures, the level is twice as high in the UK as in France. This divide in employment chances is exacerbated as the numbers going to university increase. Since the mid-1990s, the proportion of young people going to university in OECD countries has almost doubled. And these graduates are likely be wealthier and healthier - and of greater value to their economies. The report highlights the competition to invest in higher education among the leading economies - with the number of graduates in the OECD increasing by an average of 4.5% every year for the past decade. This has seen the UK slipping in graduation rates from third place in 2000 to 11th in 2007. Public and private spending on higher education in the UK is 1.3% of GDP - below the OECD average of 1.5%. "We are not only behind the US, who spend over twice as much as the UK as a proportion of GDP, but countries closer to home like Denmark, Portugal and the Netherlands are investing more than the UK," said Wendy Piatt, director general of the Russell Group, representing the most prestigious universities. "Million+ has consistently been calling for the government to deal with the mismatch between supply and demand for university places," says Pam Tatlow of the group representing new universities. For the first time, the OECD has sought to quantify the financial advantages and disadvantages of going to university rather than leaving school and entering work. The biggest financial disadvantage is likely to be three years of lost earnings, along with the cost of fees and living expenses for students. But these are outstripped by higher earning power. Across the OECD, the average financial advantage gained from a degree is worth £113,000 extra in earnings for men and £81,000 for women. There are no separate figures for education systems within the UK, but for a male graduate in the United States, the advantage of going to university rises to £222,000 during a working life. In England, the funding of university - and the levels of tuition fees paid by students - are set to be examined in a major review carried out by the government. University leaders have suggested that tuition fees will have to rise if universities in England are to have sufficient funding. The Higher Education Minister for England, David Lammy said: "As this latest OECD report shows, the proportion of adults in the UK holding a degree is above average with them enjoying a better return on their qualifications than most comparable countries. "There are currently more students than ever before at UK universities and our support has helped more than 2.8 million people to gain basic skills qualifications since 2001." Steve Smith, the incoming president of Universities UK said: "It's vital that we continue to invest in our university sector. Our world-class higher education sector is one of the UK's outstanding success stories." "We know that, as the economy continues to shift towards more knowledge-based activities, the UK is going to need more people with higher-level skills. And of course, these same people - and society generally - benefit from the life-enhancing experience of higher education."